An old genre is given a new look, as portraits and self-portraits of Marcel Duchamp invent and cover up as much as they reveal and portray. One of the most influential artists of the twentieth century, Marcel Duchamp (1887-1968) was a master of self-invention who carefully regulated the image he projected through self-portraiture and through his collaboration with those who portrayed him. During his long career, Duchamp recast accepted modes for assembling and describing identity, indelibly altering the terrain of portraiture. 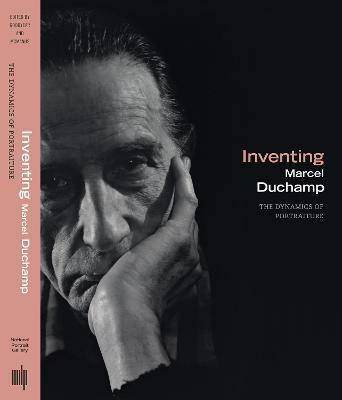 This groundbreaking book (which accompanies a major exhibition at the Smithsonian Institution's National Portrait Gallery) demonstrates the ways in which Duchamp willfully manipulated the techniques of portraiture both to secure his reputation as an iconoclast and to establish himself as a major figure in the art world. Although scholars have explored Duchamp's use of aliases, little attention has been paid to how this work played into, and against, existing portrait conventions. Nor has any study yet compared these explicitly self-constructed projects with the large body of portraits of Duchamp by others. Inventing Marcel Duchamp showcases approximately one hundred never-before-assembled portraits and self-portraits of Duchamp. The (broadly defined) self-portraits and self-representations include the famous autobiographical suitcase Boite-en-Valise and Self-Portrait in Profile, a torn silhouette that became very influential for future generations of artists. The portraits by other artists include works by Duchamp's contemporaries Man Ray, Alfred Stieglitz, Francis Picabia, Beatrice Wood, and Florine Stettheimer as well as portraits by more recent generations of artists, including Andy Warhol, Jasper Johns, Sturtevant, Yasumasa Morimura, David Hammons, and Douglas Gordon. Since the mid-twentieth century, as abstraction assumed a position of dominance in fine art, portraiture has been often derided as an art form; the images and essays in Inventing Marcel Duchamp counter this, and invite us to rethink the role of portraiture in modern and contemporary art. Anne Collins Goodyear is Assistant Curator of Prints and Drawings at the National Portrait Gallery, Smithsonian Institution, in Washington, D.C. James W. McManus is Professor of Art History at California State University, Chico. Anne Collins Goodyear is Assistant Curator of Prints and Drawings at the National Portrait Gallery, Smithsonian Institution, in Washington, D.C. James W. McManus is Professor of Art History at California State University, Chico. Francis M. Naumann teaches at the Parsons School of Design and has written or numerous arts journals.